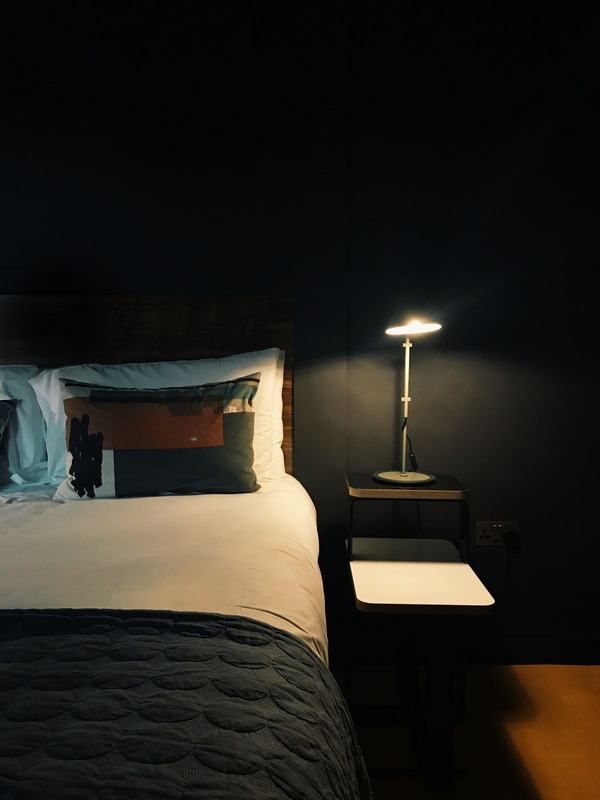 Because we live close by, staying overnight in Belfast was never something I thought about – but when the opportunity came up to give Bullitt a try, Dan and I just couldn’t resist! Situated between the hustle and bustle of Victoria Square and the placidity of the Waterfront, Bullitt is exactly where you want to be on a sunny Sunday in November: surrounded by shops and cool cafes, people nosying in at the recently-installed Christmas lights, and an all-round sense of chill and cheer in the air. 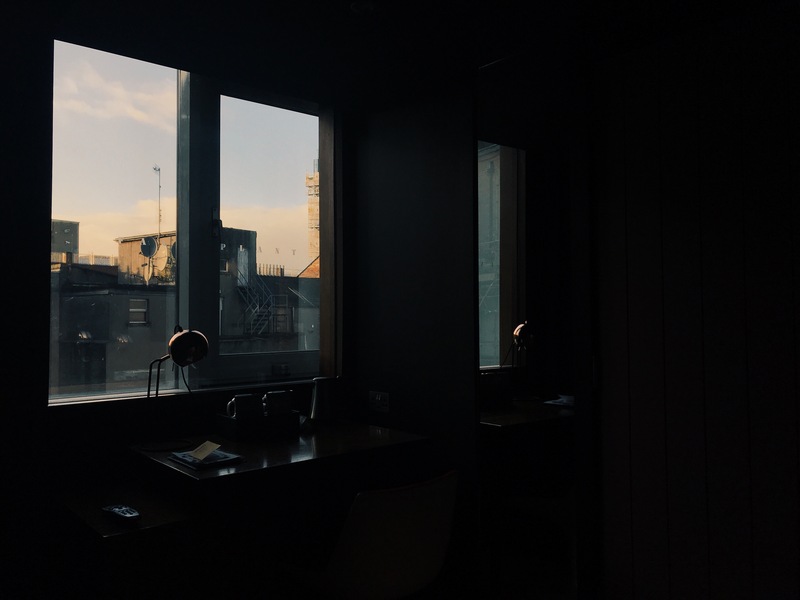 We were warmly greeted and ushered up the comical lift to our room with which we instantly fell in love: moody and minimalist, equipped with everything you might need and a view of Belfast’s sunset to boot. 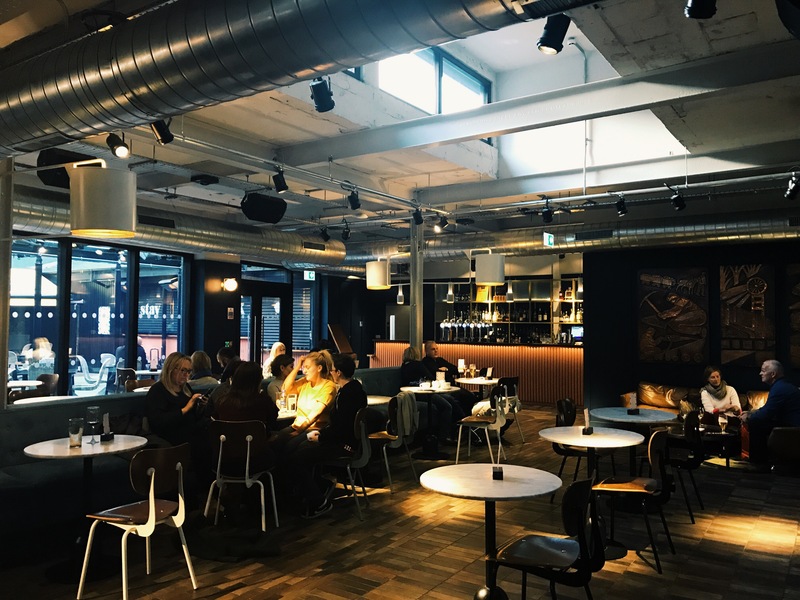 We arrived in the middle of the afternoon and the place was buzzing, both inside the venue and in its laid-back courtyard: late lunches and lazy coffees consumed by a wide mix of people in the Bullitt Lobby, its restaurant Taylor & Clay and its Swiss-themed bar Baltic. 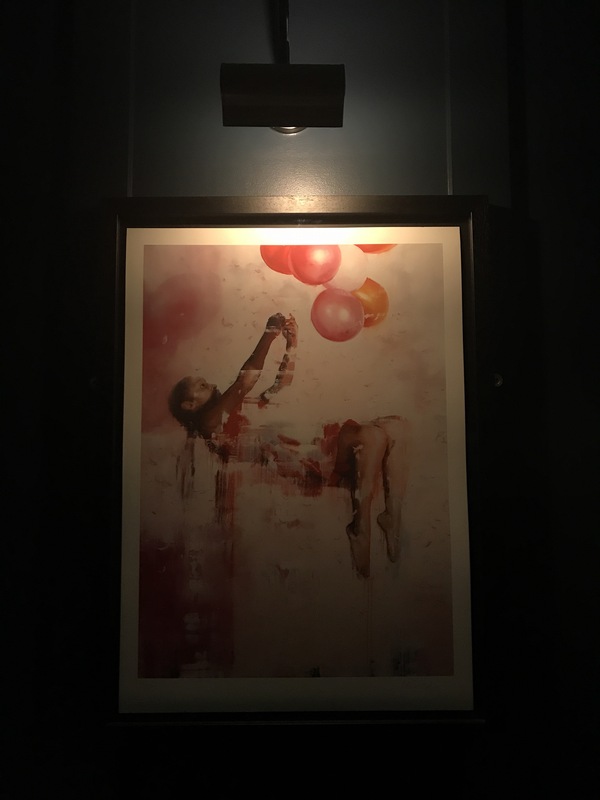 New to the family is Babel, a rooftop bar serving an impressive array of cocktails and ‘small plates’. Our stay was cosy and full of happy surprises at every corner – a luxurious bed, gorgeous-smelling soaps, absolutely delicious tea and coffee in our room and a super cute-but-handy breakfast arrangement consisting of a Bullitt paper bag with tasty fruit, locally-made granola and fresh-pressed fruit juice. 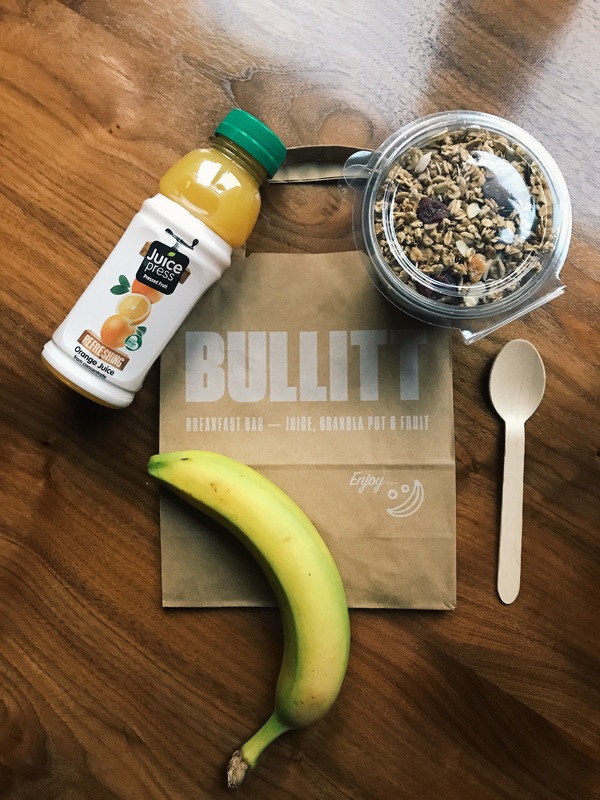 We used Bullitt as our base while we enjoyed some of Belfast’s delights (including Christmas shopping and Christmas movie premieres…can you believe it’s almost time?!) 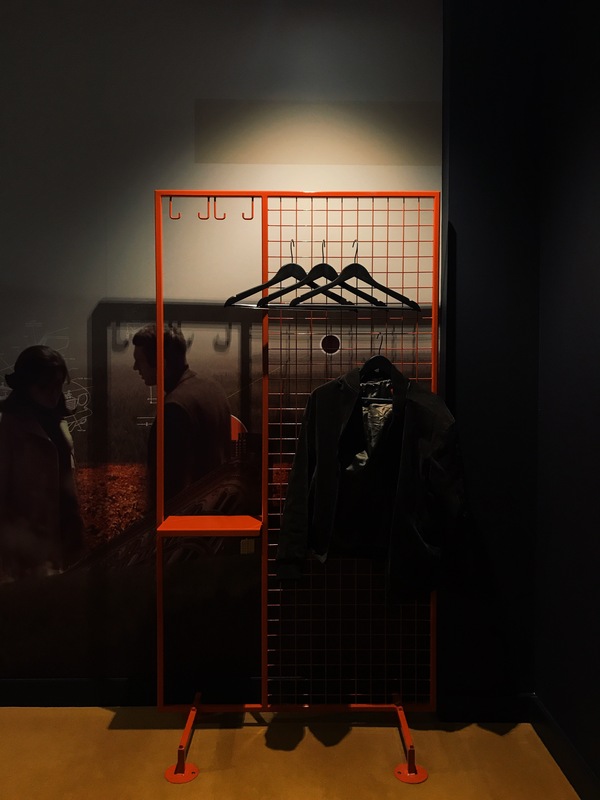 As we left, Dan remarked that Bullitt was kind of like a Moroccan Riad – a haven in the middle of a busy city that leaves you feeling replenished and tempts you to come back even before you depart, and come back we certainly will! 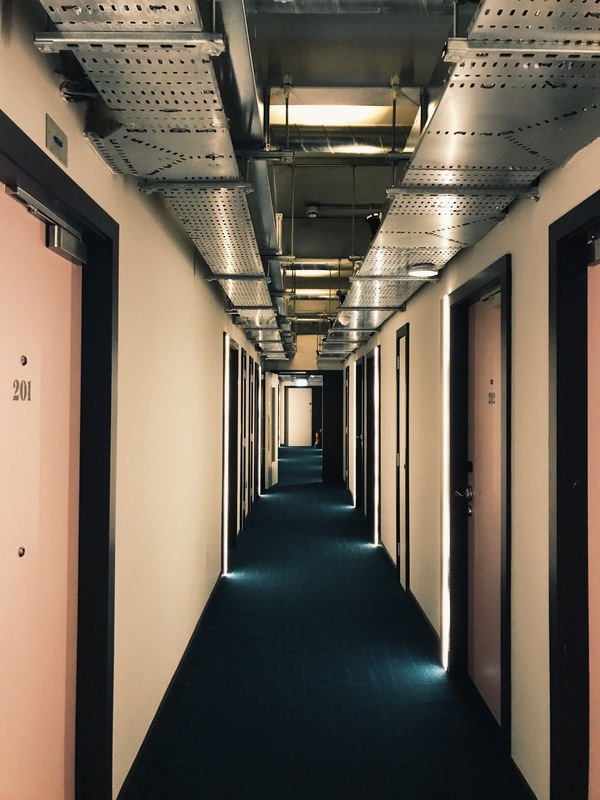 We were gifted this room as part of an Instagram promotion for Babel Belfast.